These days getting through airports can be a, well, let’s say ‘less than pleasurable’ experience – with long security lines, tense atmospheres and delayed flights. But, for one Californian woman, her airport experience became the highlight of her trip. 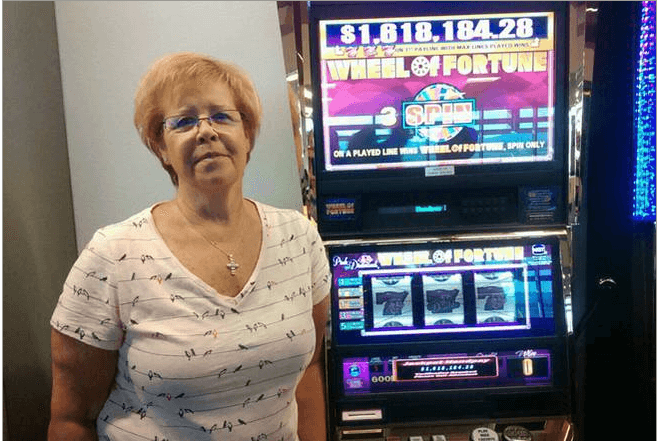 On Tuesday 15th August this year, a certain ‘Sandra A.’ won an incredible $1.6 million jackpot on a slot machine at McCarran International Airport, Las Vegas, whilst waiting for her flight home. The woman, from Dublin, California, played a modest $5 bet on a Wheel of Fortune slot machine at the C Gates, according to the airport’s Facebook. Apparently, Sandra enjoys travelling to Las Vegas twice a year, and always indulges her passion for gambling, but we’re pretty sure that she never expected a big win to happen at the airport rather than the casino! All we can say is a massive ‘congratulations’ to Sandra, and it just goes to show that luck can strike anywhere, at any time! But, if you don’t find yourself passing through Nevada-style slot machine equipped airports, remember you can always one of the world’s best range of slots at EnergyCasino, from anywhere. Fingers crossed, the next person we write about could be you!